Rupert Murdoch is a media mogul who hasn’t shied away from revealing his true feelings towards Google. The best way to sum them up? If Google didn’t exist, he would be all the happier. Earlier this year, Murdoch asked cable industry execs “Should we be allowing Google to steal all our copyrights?” His response: media execs should be saying “Thanks, but no thanks” to Google. That’s easier said than done, of course, because for all of the complaints media execs have about Google, Google usually sends a lot of traffic their way. As with any good love-hate relationship, media execs say all sorts of nasty things about Google yet none have completely slammed the door on the relationship. When it comes to News Corp.’s relationship with Google, Murdoch has made it clear that he doesn’t think Google isn’t contributing much. So why not just update robots.txt on News Corp. websites and kick Google to the curb? 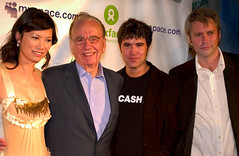 Murdoch now says he plans to…when News Corp.’s websites go paid. Murdoch’s plans came to light in an interview with David Speers of Sky News. When Speers asked him why he just doesn’t opt-out from Google, Murdoch replied “I think we will“. The question that is probably running through a lot of minds right now: is Murdoch crazy? Murdoch has no intention of shutting down search-engine traffic to his sites, but he’s still having lurid fantasies inspired by the momentary insanity that caused Google to pay him for the exclusive right to index MySpace (thus momentarily rendering MySpace a visionary business-move instead of a ten-minutes-behind-the-curve cash-dump). It’s an interesting idea, even though I agree with Doctorow that it wouldn’t do much for the search engine. Personally, whatever Murdoch is thinking, I’d like to see him follow through and drop Google. It would probably provide an informative and entertaining case study assuming you’re not a nervous News Corp. shareholder. It might even answer the question many media execs don’t have the answer to: does Google help more, or hurt more? Photo credit: Oxfam America via Flickr. Display ad campaigns have proven to boost brand searches online and even increase sales. 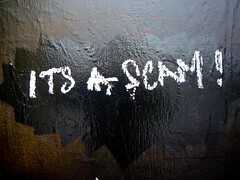 But finding the right mix of search and display advertising can be tricky for advertisers. 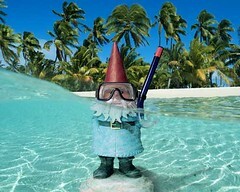 In the case of Travelocity, the popular travel website has moved towards using real-time search data in its display ads. It seems like a simple enough strategy. The result? A 203% increase in bookings online. How’d they do it?